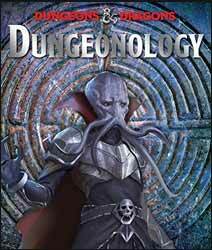 Dungeonology, written by Matt Forbeck, is a hardcover coffee table style book which acts as a sort of Dungeons & Dragons primer to the Forgotten Realms. Although large in size the actual content struggles to fill the space demonstrated by the fact that it only fills about two thirds of the spine with its twenty-four pages, it gives the impression that the book is missing pages; even so, the embossed cover was a nice touch. The book covers the rudimentary knowledge needed to become acquainted with the world of Dungeons & Dragons. It’s not so much a sourcebook; rather it contains a collection of faux facts about the realm and its inhabitants. Most of the pages have a tanned look, probably to suggest parchment. Each of the pages is heavily illustrated, with good quality pictures, which mostly covers characters or creatures, with the odd smattering of weapons. The centrepiece of which is the large, foldout, map of Volo’s Most Wondrous Map of the Sword Coast. To compliment this there are a couple of small notebooks stuck to the pages relating to spells and dragons as well as another much smaller foldout section. Inside of the main cover is a sealed letter which sets the book up as a real found object. It’s not bad, but all the inserts share the same uniformity of style and paper as the main book. The book finishes with an unexpected supplementary guide to the Forgotten Realms, which as it is by the same author is similar in design, though lacking any fold out items. As a primer of the game, the book works well and regular gamers may find some use in the fold up map.